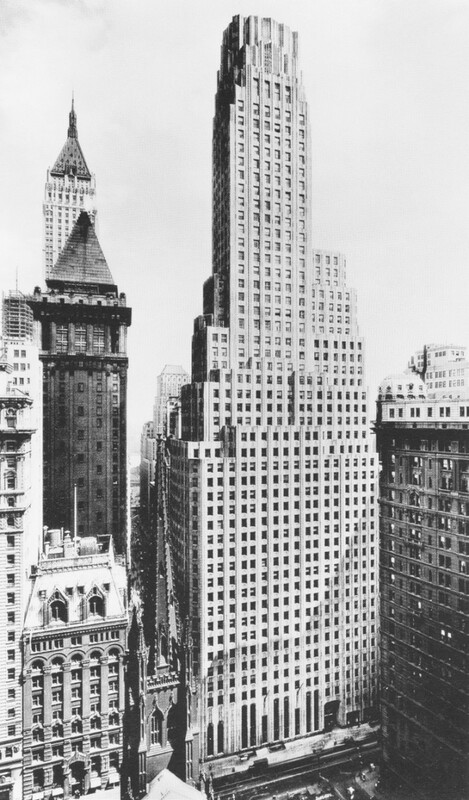 Historic photo of 1 Wall Street. 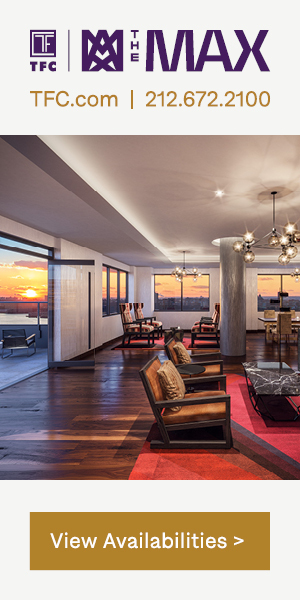 The conversion into a residential tower with a retail base is being led by Harry Macklowe of Macklowe Properties. Whole Foods will be taking up around 44,000 square feet of space on the lower floors, when complete. Two other retails spots are also available in the building. 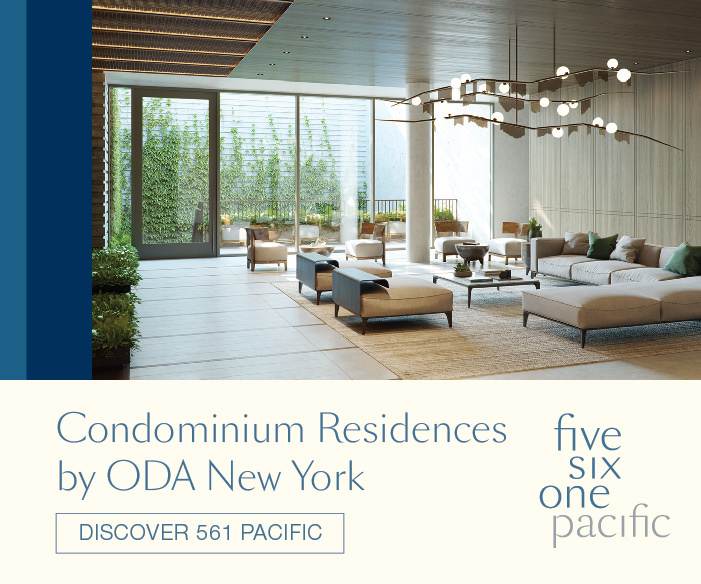 The conversion is being helmed by Robert A.M. Stern Architects in a collaboration with SLCE Architects. CORE is handling the sales and marketing for the upcoming project. 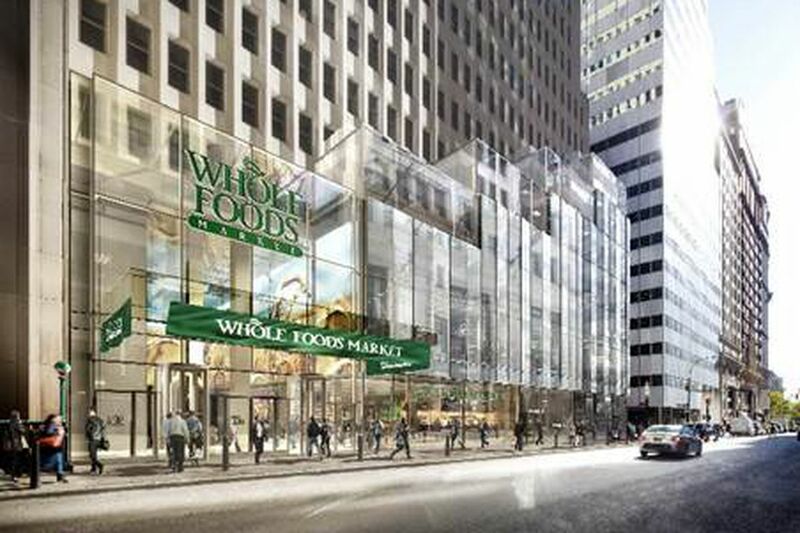 Looking at the renderings, large panes of glass will protrude from the original facade, with access to Whole Foods on Broadway. 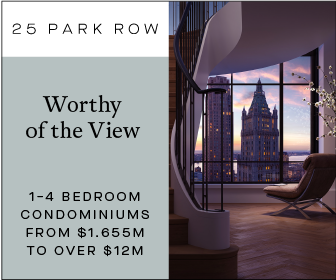 Ceilings will be up to 22 feet high. Photos from the site last week show the original steel columns temporarily exposed in the cut-out stepped pattern for the new retail base. This will be the most noticeable change in appearance for the building at street level, along with the approved addition of the extra floors at the top of its southern half. 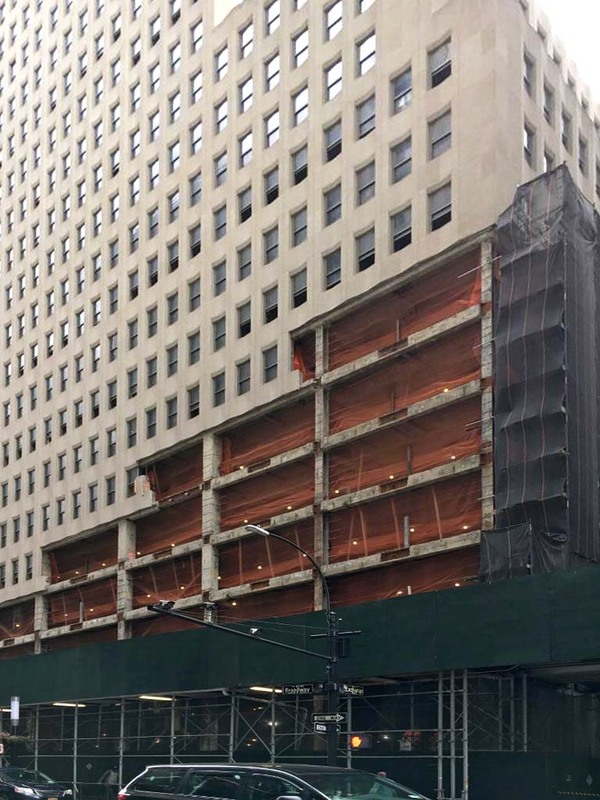 The rest of One Wall Street will appear as it has for the past 87 years, just as Ralph Walker designed and visualized it to timelessly stand out amongst the Lower Manhattan skyline. 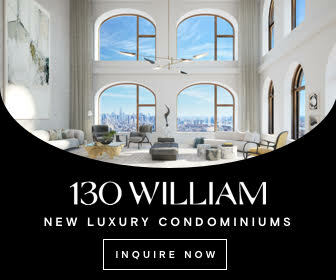 When completed, residents of the building and those living by Wall Street will have much easier access to Whole Foods, with the current closest store all the way in Tribeca at 111 Murray Street. 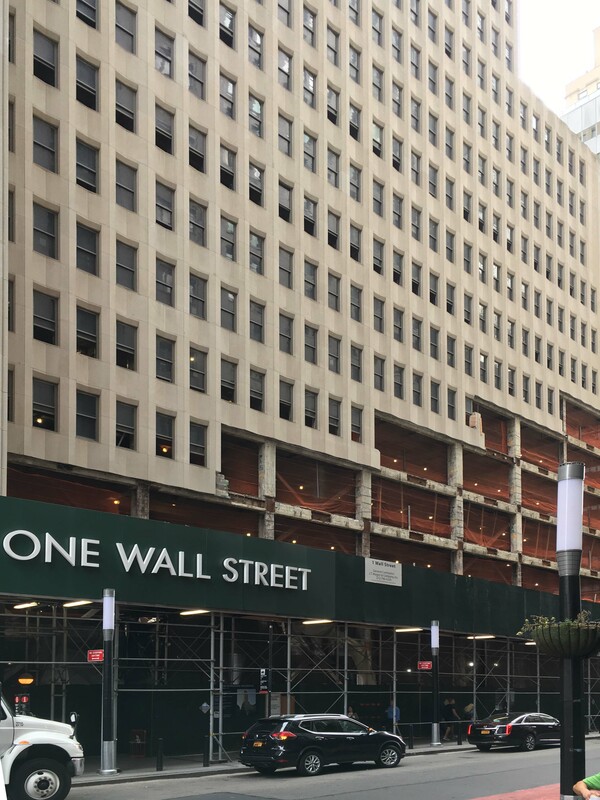 Completion of One Wall Street is expected sometime around 2020. 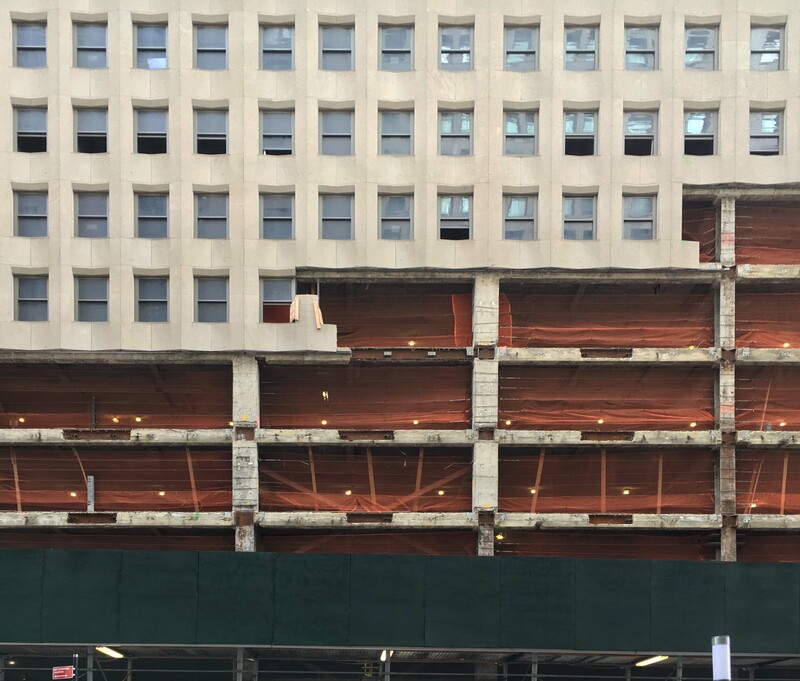 4 Comments on "Conversion of 51-Story One Wall Street Makes Headway As Work Progresses for The Financial District’s First Whole Foods"
I’m so grateful Robert A. M. Stern is leading this conversion project. I’ll gladly sacrifice street level alterations to help make the conversion/preservation of the entire building financially viable while adding a welcome supermarket to the new residential neighborhood. 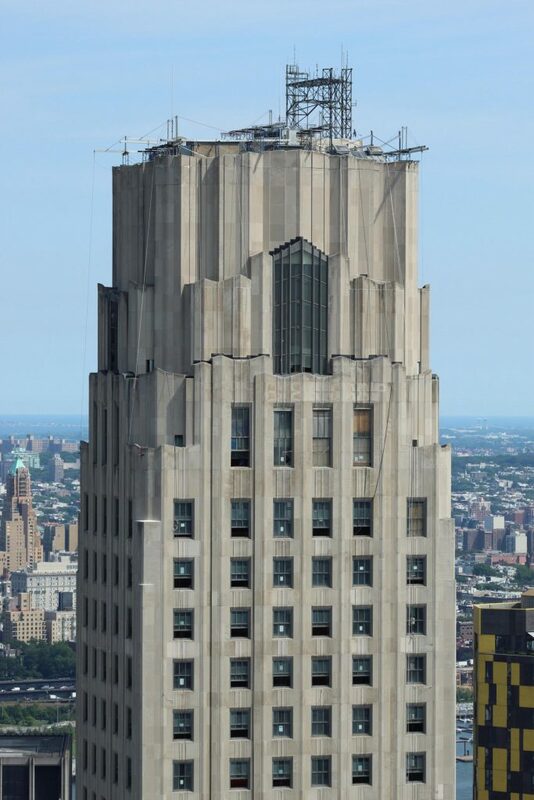 Probably the absolute zenith of New York Art Deco design is One Wall Street. The incredibly simple design looks like it was carved from solid limestone. Turning the building into housing will only guarantee future generations will enjoy the artistic perfection rarely seen in the silver glass boxes of New York today. Hopefully the incredible red and gold mosaic covered former banking hall will be open to the public as a retail or restaurant space. 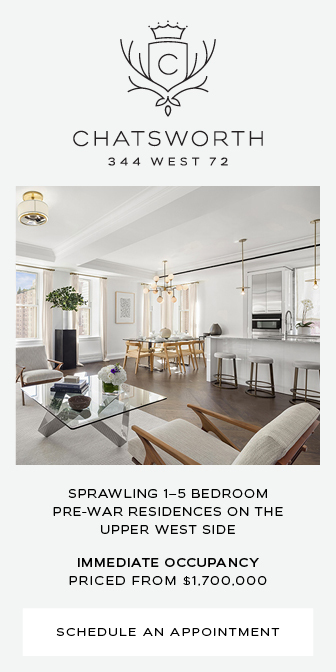 It is truly one of the most beautiful art deco interior spaces in Manhattan.